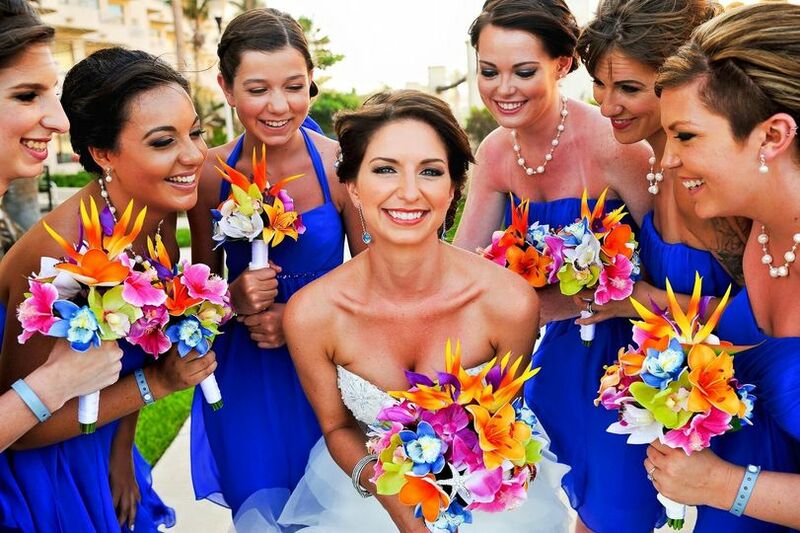 Cabo Makeup by Alma Vallejo is located in Cabo San Lucas, Mexico and provides bridal hair and makeup services. Alma and her entire team are highly trained and strive to create styles that will showcase each client’s personality. They are committed to exceptional customer service and high-quality beauty artistry. To achieve their standards, the cosmetologists use premium products. 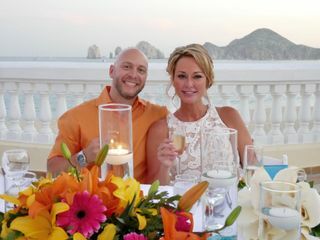 My husband and I recently got married at Pueblo Bonito Sunset Beach in Cabo San Lucas. 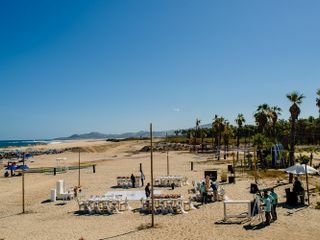 Neither of us had been to Cabo before and had to do most of our research online for our wedding vendors. 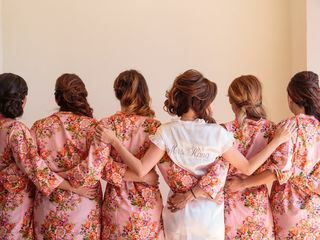 One of the most important pieces of our wedding was finding the perfect person to do my hair and makeup and that of my bridesmaids. There were a couple other hair and makeup artists that I discovered in my research who appeared to be very popular, but were VERY EXPENSIVE. I continued my search for something that fit my budget better, but still appeared to provide the same quality of service and that is when I discovered Alma Vallejo. I emailed her through her website to get more information and a quote. She responded quickly and was able to arrange a phone call to discuss possible services for my wedding. She was very personable and professional and after speaking for about 30 minutes about what I wanted, I knew Alma was the one. We scheduled a hair and makeup trial and wedding day hair and makeup for my 3 bridesmaids, my mom and myself. We had scheduled my hair and makeup trial to be on the same day as a portrait session we were doing with our photographer a few days before the wedding, unfortunately at the last minute, our photographer had the wrong day scheduled, but Alma was able to rearrange her schedule to be able to still provide services for the trial and our portrait session. I greatly appreciated her flexibility with rescheduling. For both the trial and wedding day services, Alma and Mabel came to my room and did their magic. During my trial, the first hair style we tried I didn't end up 100% loving, but Mabel was able to make a few slight changes to create the exact look I was looking for. Both hair and makeup were flawless and beautiful and they listened to exactly what I wanted. 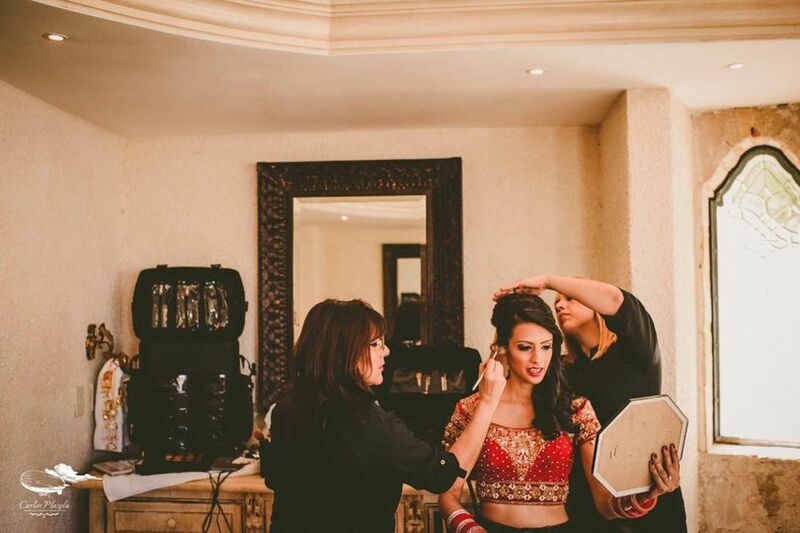 Everyone loved their look and left feeling beautiful. 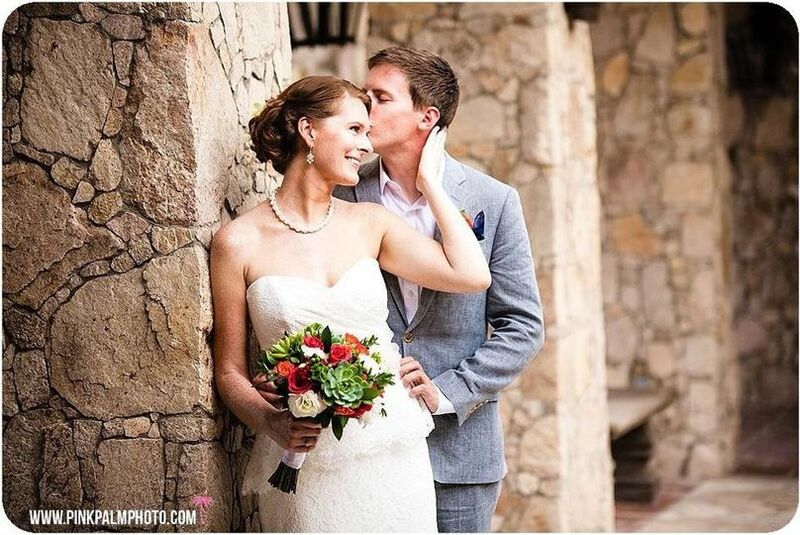 I would HIGHLY recommend Alma and Mabel for hair and makeup services in Cabo! 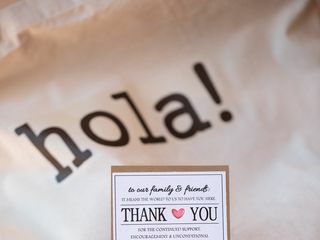 Alma and her team were amazing on the day of my wedding! 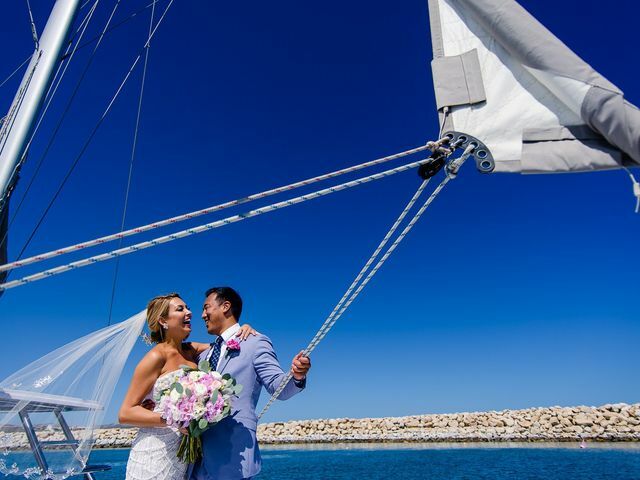 She was highly recommended by my wedding planner and I can not say how pleased I am that we used her services for our big day. Her services were affordable and easy to pay through Paypal. 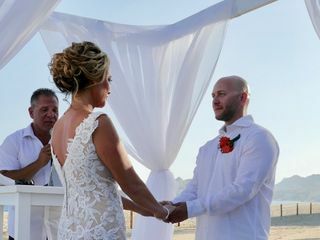 She was so gracious about adding in an additional hair and m/u for my brother's girlfriend within a week of the wedding. 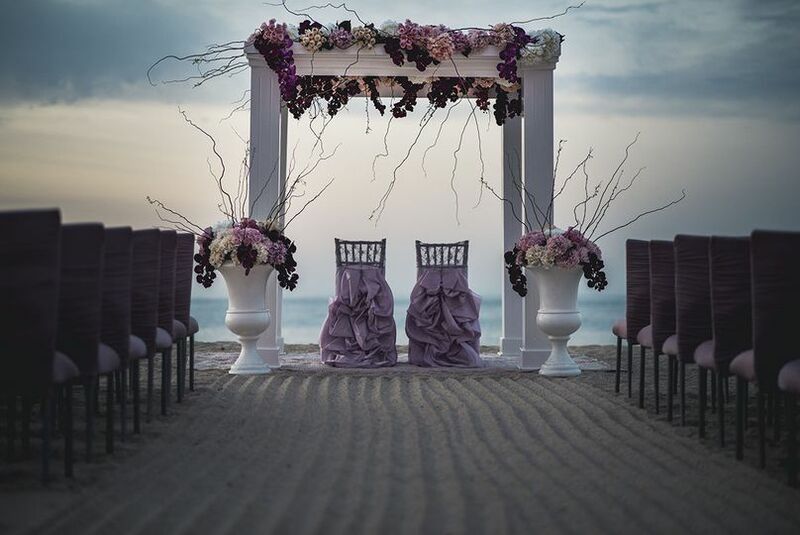 She and her hair specialist came to the Cape hotel 2 days before the wedding for a trial before our rehearsal dinner and with a few small touches they changed the look to avoid an early reveal. 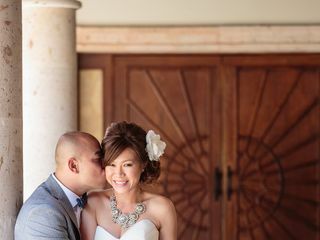 I was able to show her a few photos for my bridal look and she executed it perfectly! She has an amazing way of working with your skin to look fresh, glowing (but not shiny) and not weighed down with make up. 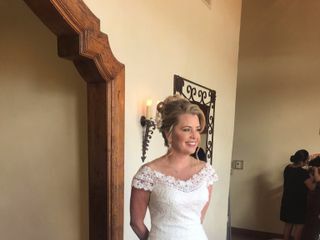 She and her team were on time, professional and did a fantastic job on my sister in laws, mother and MIL as well as my MOH. And they finished all of us on time! I highly recommend using her services. 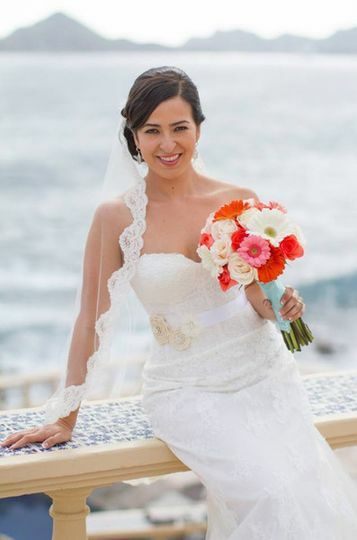 Alma and we her team did an outstanding job with our hair and makeup services on my wedding day. They are all very professional, efficient, and easy to work with. All of the girls looked beautiful and were extremely happy with their look for the wedding day. They all listened to what each girl wanted and were able to accommodate the different preferences and styles of each bridesmaid. I would highly recommend Alma and her team! Alma does beautiful hair and makeup. 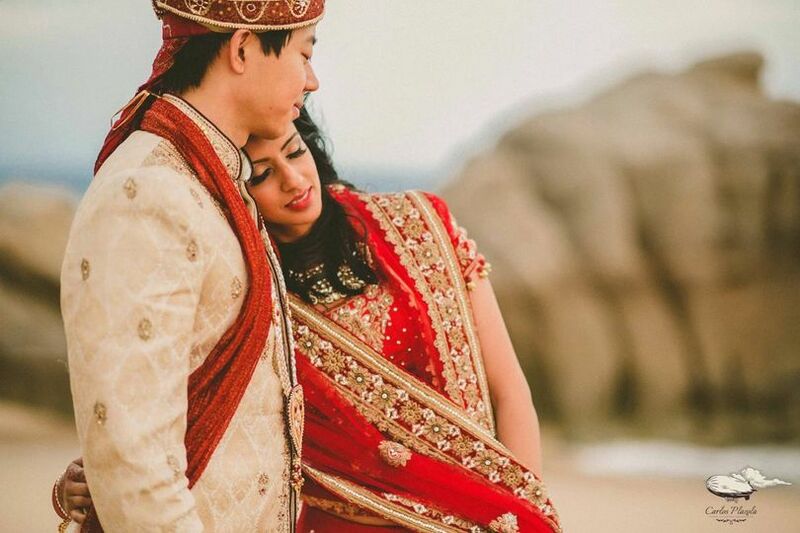 I recommend her to every bride wanting to look flawless on her special day.